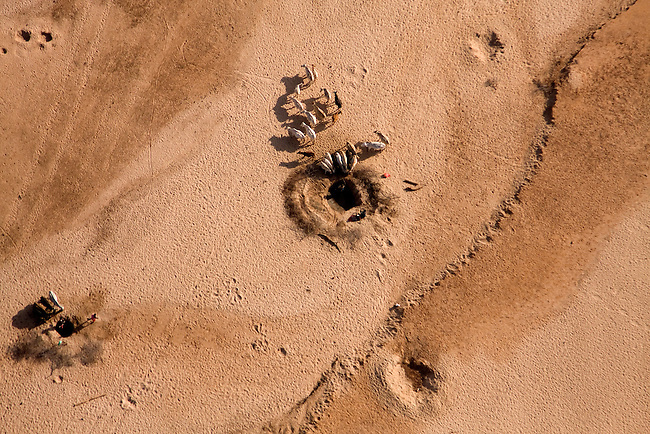 ..Samburu livestock, as seen from the air, illegally entering Samburu National Park searching for food and water. Holes are made in the dry Ewaso Nyiro riverbed to dig out water searching for any kind of moisture for their goats and cattle.. The worst drought (2008-2009) in more than a decade has killed most of the Samburu tribeman's livestock and threatens their own survival. .